Add a few drops to lotions and potions. Cleanse crystals and mist plants. Use coupon code TW20 for 20% off your first bottle! 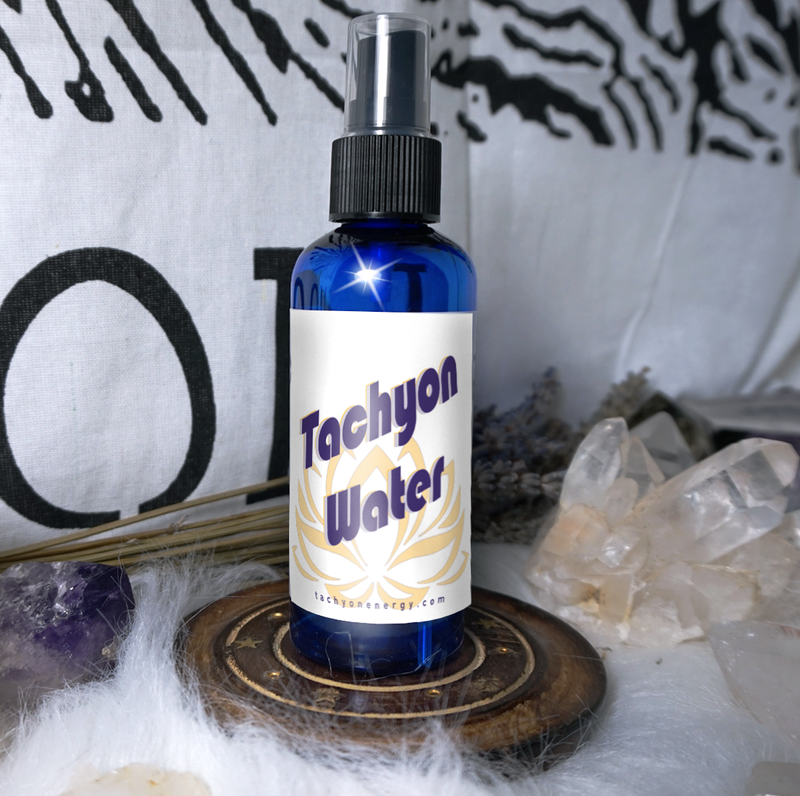 Tachyon Water is the key to radiant health and longevity. It is the elixir of life, increasing energy, endurance and balance. Research carried out shows that within 20 minutes of using Tachyon Water the body’s meridians come into perfect balance. And best of all within seconds of using Tachyon Water you can really feel a surge of energy around your body!